In this article we review the best petrol strimmers in the UK market. 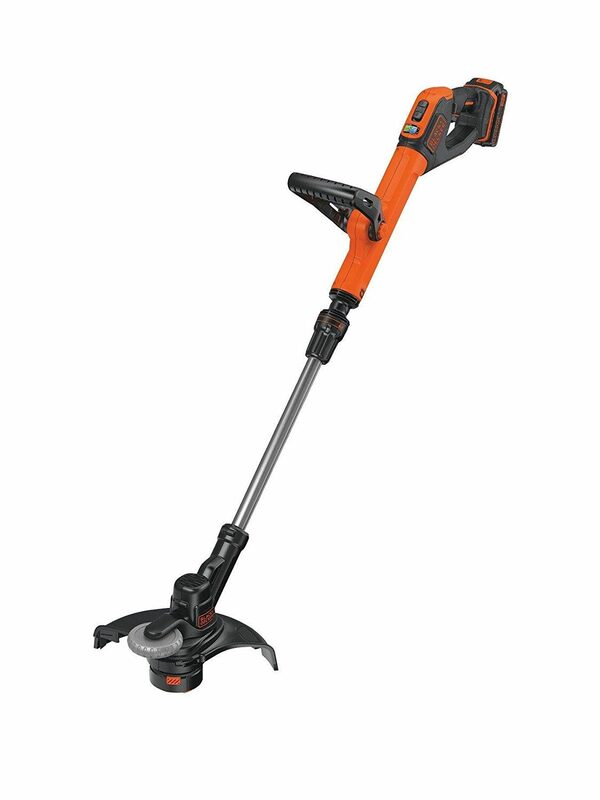 These are also known as 2-stroke strimmers, because of the engine type. There are also some higher end 4-stroke models available. Generally speaking though, the two stroke engine, that uses a mixture of petrol and oil, remain the most popular choice. The petrol versions of these are the choice of professionals in both gardening and landscaping. That is because they are portable, powerful and very durable. 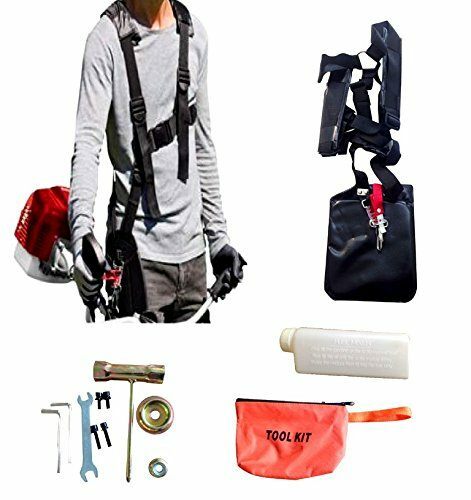 They are built to do a lot of work and be used on a regular basis. They cut grass, weeds, hard brush and can also be sued for doing edges. Many council workers also use these when out on the highways and rural roads. At home, the people who buy these, are generally speaking people with larger gardens, or who maybe look after one or two gardens. They are also popular with allotment owners. Then there are people like me, who enjoy the roar of the engine, the freedom of movement and the way that these blitz through just about anything. 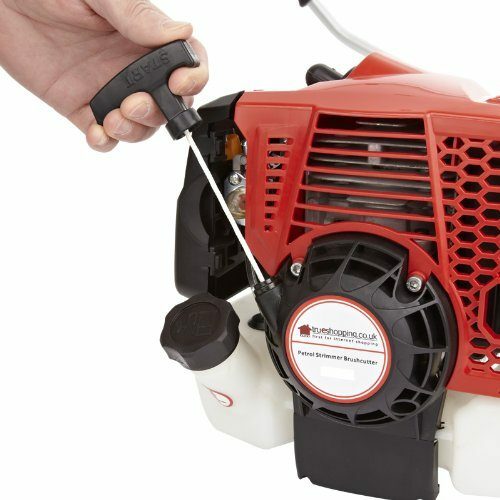 Below we have created a list of the highest rated petrol trimmers that are currently available in the UK market. This 2-stroke model is our number one choice on the UK market at this moment in time. 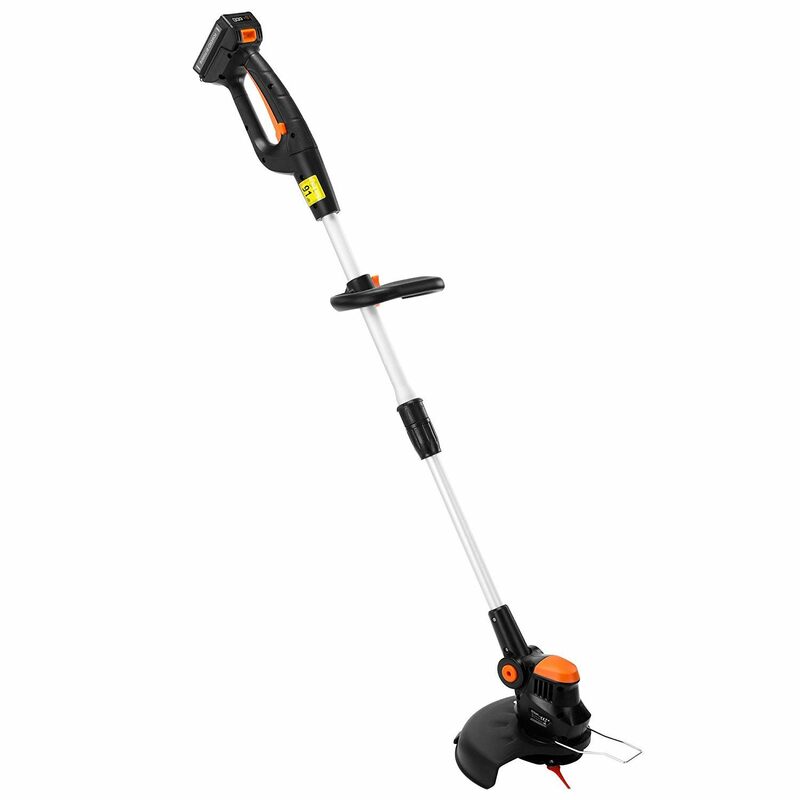 As such we highly recommend it to any gardener, who needs to get a lot of work done quickly. This will take out grass, weeds, bramble and any scrub that gets in the way.